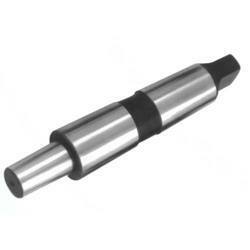 Offering you a complete choice of products which include cnc lathe turret sleeve and drill chuck arbor. 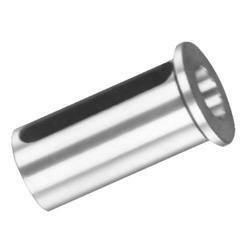 To furnish the diverse requirements of our clients we are involved in offering a premium quality CNC Lathe Turret Sleeve. This provided turret sleeve is used in the CNC lathe turret to step down the standard lathe turret tool holder bore to the required tool diameter. The offered turret sleeve is manufactured by using top notched quality raw material and cutting-edge technology to render maximum clients' satisfaction. Our provided turret is well tested on various quality defined standards by our quality auditors. With sincere intentions to preserve and uplift our reputation in the market, we are offering a comprehensive assortment of Drill Chuck Arbor. Our offered products are manufactured in such a manner that we are capable to uphold globally established values. Owing to their notable features, these products are mostly demanded in the market. Besides, clients can buy offered products from us in a broad variety of specifications. Looking for “Lathe Revolving Center”?